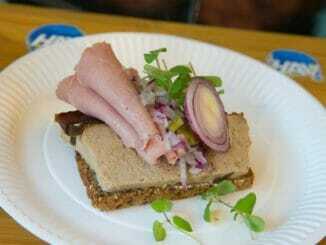 Schønnemann is widely known as the king of the Danish open-faced sandwich. That might not be so surprising, since they’ve had a lot of time to perfect their dishes—they first opened in 1877. 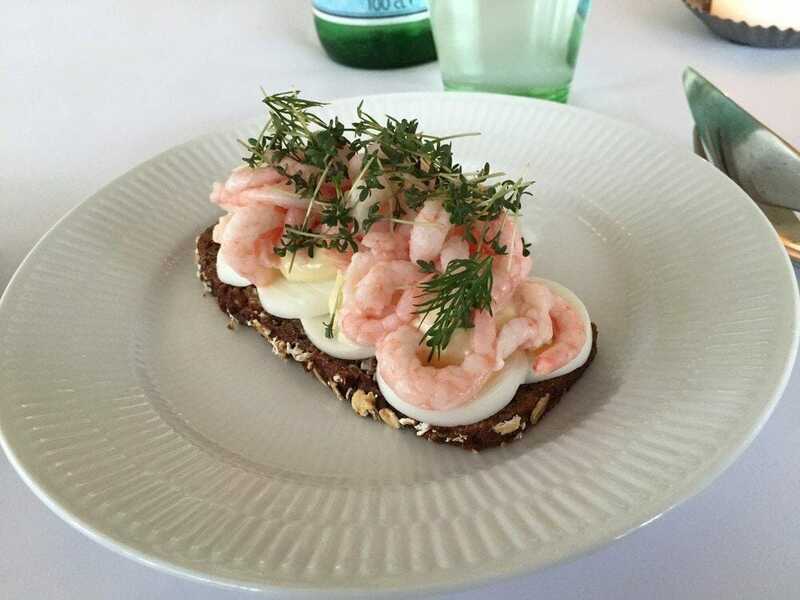 Schønnemann’s smørrebrød is piled high with fresh, house-made ingredients. They are most famous for their pork and fish dishes. Aamanns serves a mix of traditional and modern cuisine. They keep the fundamentals of this classic Danish dish, but they make it fresh and new at the same time. 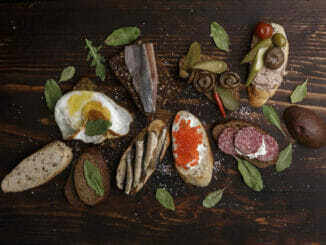 Some of their creative sandwiches include grilled sirloin with fried mushrooms, and eggs with roasted pumpkin. 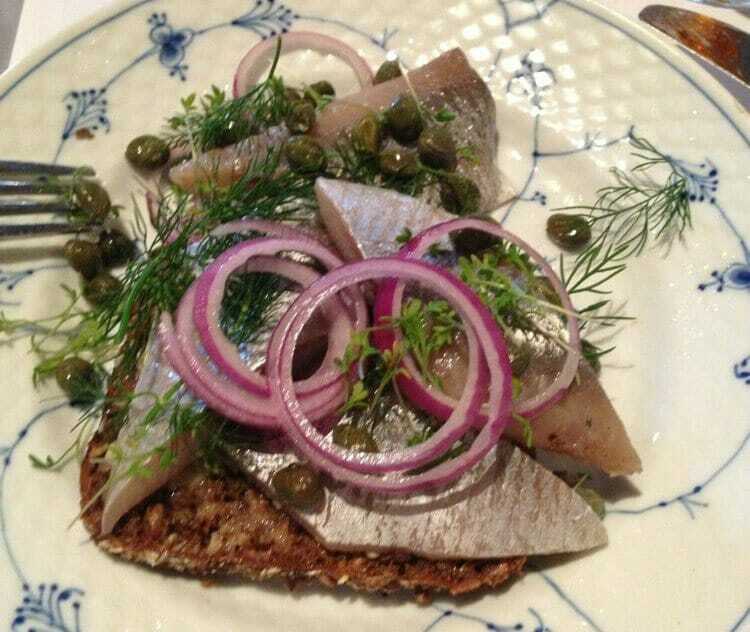 Orangeriet also serves classic Danish cuisine with a modern twist. 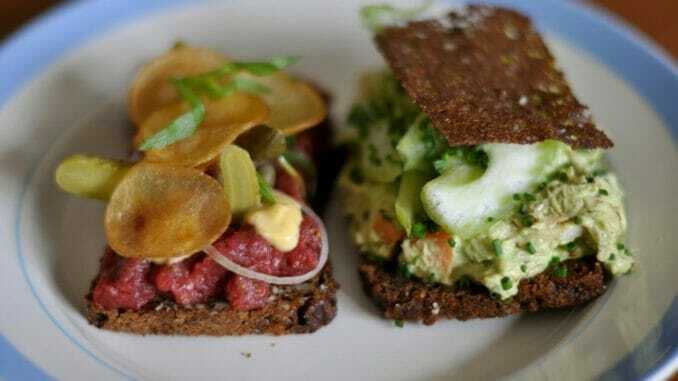 Their sandwiches—which include shrimp with cream cheese and avocado, and beef tartare with beets and onions—are divine. Their location, at the edge of the beautiful Royal Garden, is a bonus. 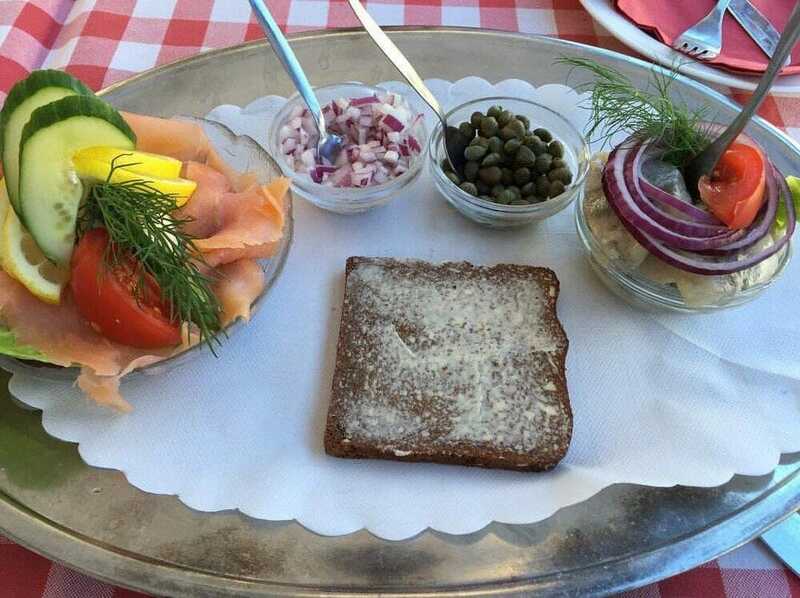 Kronburg has an extensive smørrebrød menu. You’ll be shocked at how many different ways they make herring—pickled, pan fried, marinated, curried. 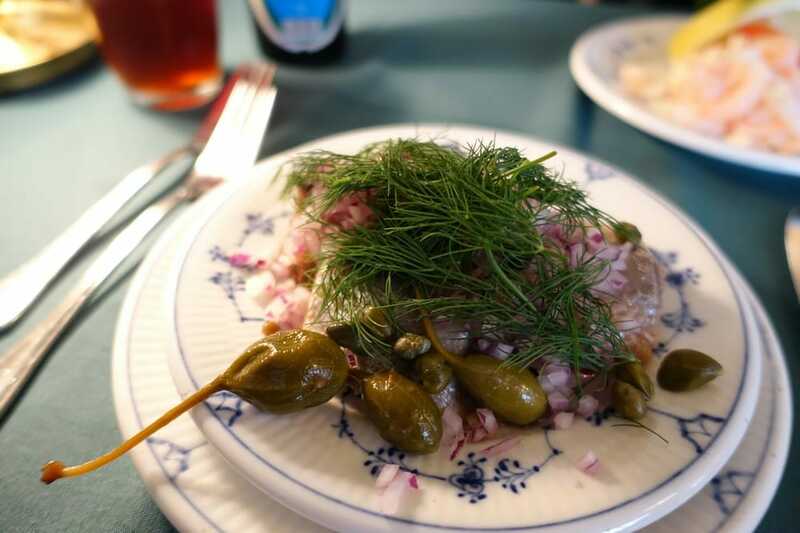 Herring is definitely their strong suit, but it’s worth trying the smoked eel, or the pickled veal tongue if you’re feeling adventurous. The main reason you might want to put Cap Horn on your list is that it’s conveniently located near Nyhavn, Copenhagen’s most famous harbor, which is an essential destination for many tourists. The location is not the only merit of this restaurant, though. 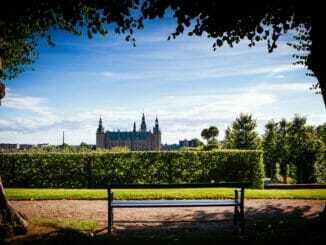 It’s also one of the best places to get delicious traditional Danish food. We featured Kanal Cafeen on our list of cheap restaurants for travelers on a budget. 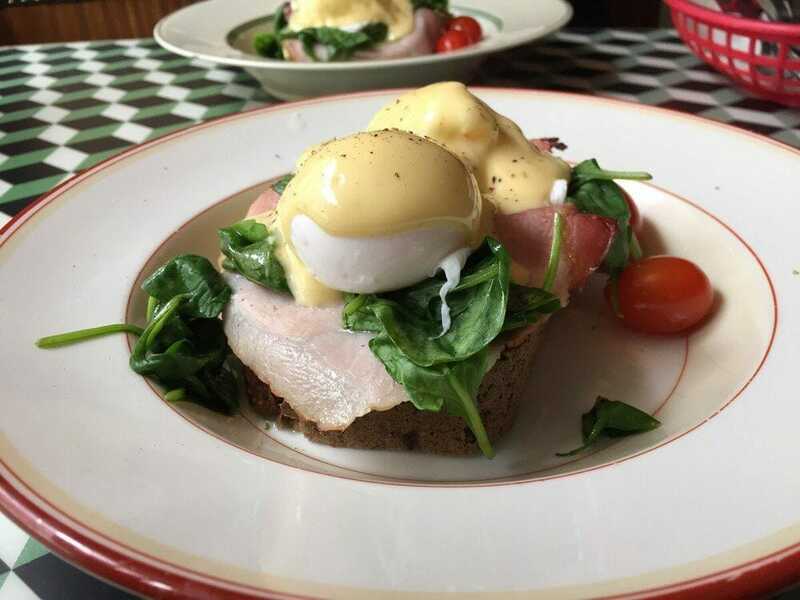 The prices are much more affordable than many cafes in Copenhagen—their open-faced sandwiches start at about €8. Though they are simple, they are still delicious. Mad & Kaffe is another great option if you’re on a tight budget. They operate a bit like a tapas restaurant where you can order 3, 5 or 7 items. 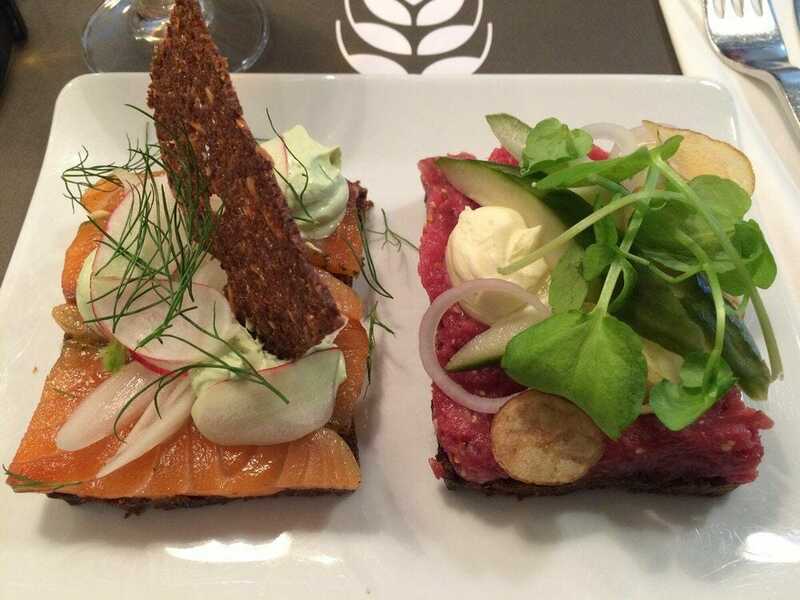 They serve excellent smørrebrød and a host of other small plates. 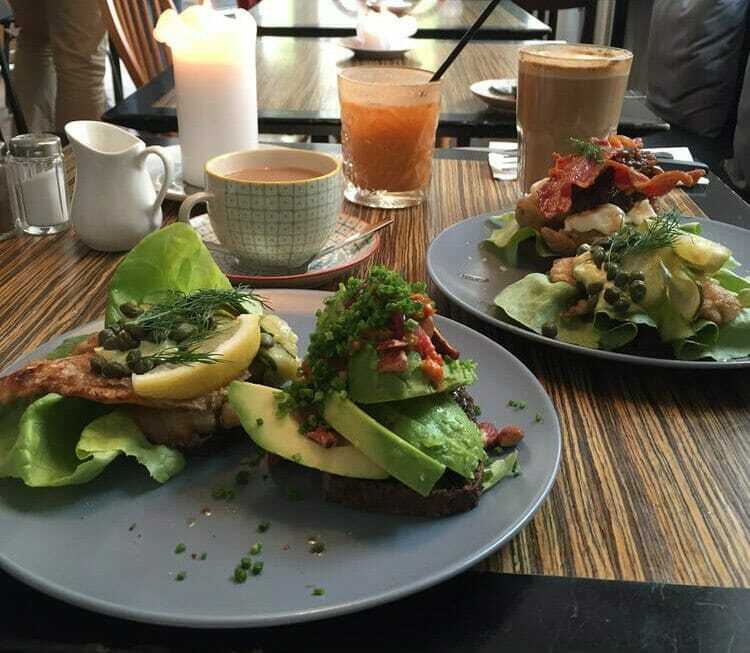 Their avocado smørrebrød is highly recommended, and it’s a great option for vegetarians or vegans. 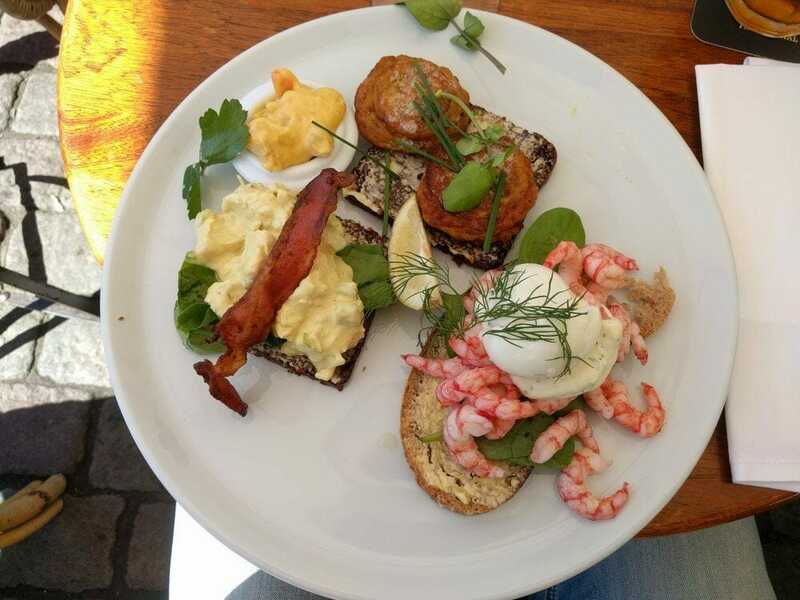 Cafe Dyrehaven is on this list mainly because of their out-of-this-world eggs Benedict smørrebrød. They take this American dish to a new level by putting it on top of dense rye and adding fresh Spinach. They serve it for breakfast and for lunch, in case you want to sleep in. If you have a little bit more money to spend, you might want to splurge on a meal at Slotskaelderen. Their food is more upscale—they are known for catering to the Danish royalty. This might be the most expensive sandwich you’ll eat, but it will be worth the money. If you’re looking for something truly unique, try Royal Smushi Cafe. 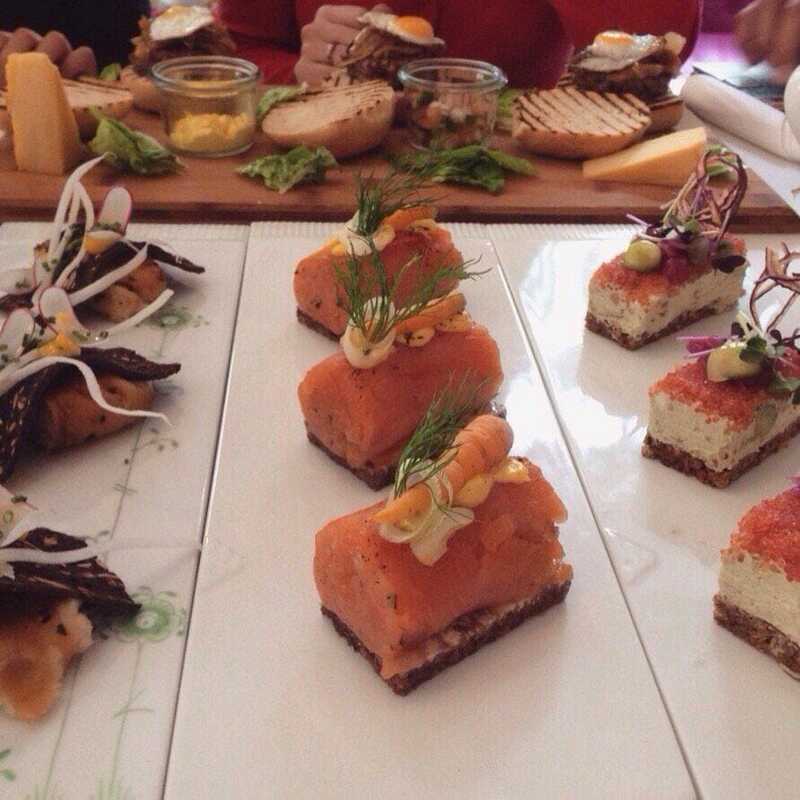 They take smørrebrød and shrink it down to the size of sushi. The dishes combine traditional Danish flavors with Japanese presentation. Hungry yet? 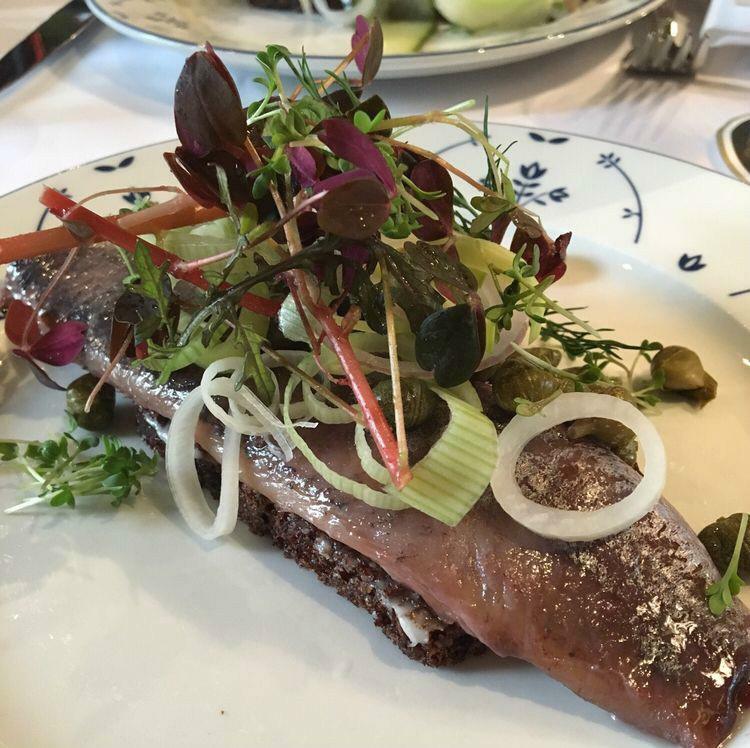 If you want the best smørrebrød in Denmark, these are the places you should go. Try doing some of these activities in order to work up your appetite.